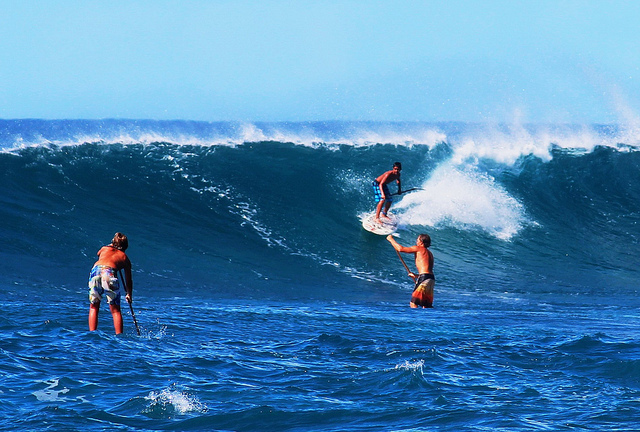 Surfing is a passion that it is impossible to be casual about. And when surfers travel, they are looking for one thing: the perfect wave. 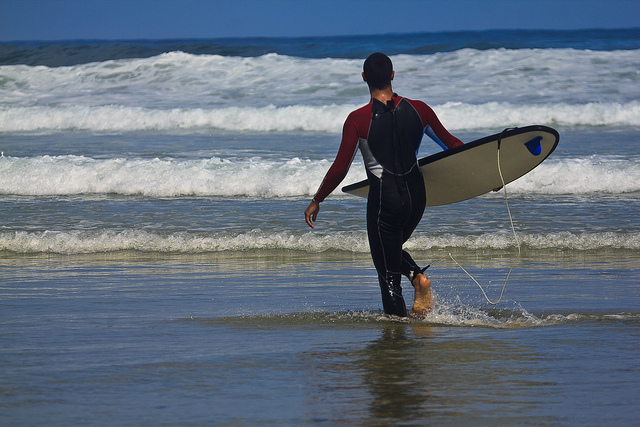 Sure, you can surf at lots of beaches. You can plan a vacation that has a little something for everyone and the family can enjoy the beach while you ride a few waves. But this is a list of top surf destinations that are no place for a family vacation. This is a surf-at-your-own-risk, attempt-if-you-dare, I’m-warning-you-that-you-might-die kind of list. Read on for four of the most exhilarating (and dangerous) surf spots in the world. 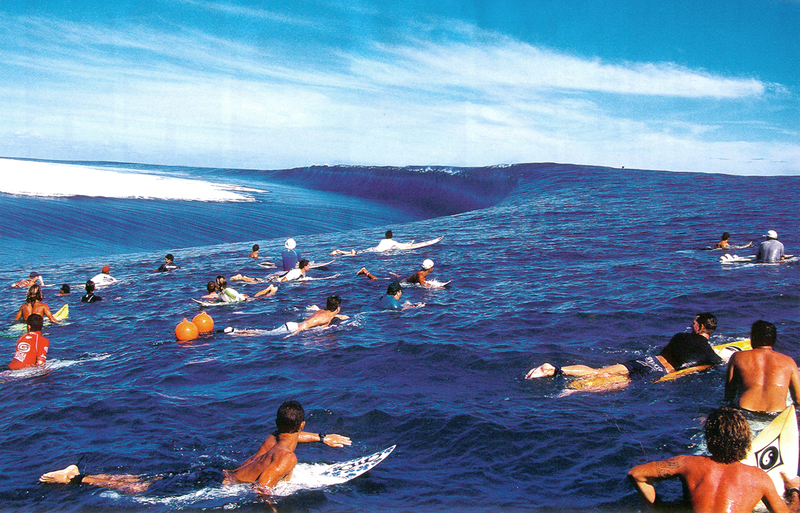 Teahupoo, Tahiti: This beautiful seascape, about a half-mile out to sea, is known to be both challenging and potentially dangerous for surfers. There are plenty of barrels available thanks to the heavy waves and shallow coral reef. Caution is in order due to the shallowness – that coral reef is very sharp and very close! This is also a popular spot for windsurfers and kite surfers. Pipeline, Oahu, HI: The north coast of Hawaii’s third largest island is a haven for surfers and thrill seekers. Oahu means “the gathering place” and it is just that for surf enthusiasts, who flock here for the hollow, barrel-rolling waves. The waves on offer at Pipeline are created by a tabletop reef that is littered with caves in which air collects. When the surf ripples over the reef, an air bubble is released that bursts at the front of the wave and forces it upwards, just before breaking. If you wipeout you will be dodging spires of rock created by ancient volcanic activity and a wall of reef. Aileens, Ireland: The gentle, rolling hills of Ireland may not put one in mind of daredevil sports like surfing, in Lahinch you can pick your way down 700 feet of precarious rocky pathway to access Aileens. When storms at sea send swells in to the Cliffs of Moher, the waves hit a hidden reef and create huge barrel waves. The waves can tower between 25 and 50 feet, sometimes more. Keep in mind, you will need to paddle out from the base of the cliffs if you don’t have a jetski on hand. Ours, Australia: Just outside of Sydney, Ours is like a rocky triple black diamond wave. Popular with both surfers and bodybuilders, this wave rolls in over a bed of rocks that could deliver a world of pain to an inexperienced surfer. The wave is hollow, fast and it breaks into a large cliff face. Stay out of the way of the locals on this bad boy! Image by Peggy2012CREATIVELENZ,SURF&ROCK Under Creative Common License.